My Microsoft Office 2013 applications crash in Windows after I installed my Epson product software. What should I do? You'll need to update the ABBYY FineReader software. ABBYY FineReader installs a Microsoft Office Integration add-in which is not compatible with Microsoft Office 2013. Open ABBYY FineReader, select Help, then select Check for Updates Now. If an update is available, a web page should appear. Click Download update. Make a note of the file name and save location so you can easily retrieve it later. If an update is not available, please contact Epson Support. Windows 8: Navigate to the Start screen, right-click the screen, and select All apps. Select Control Panel > Programs and Features. Select the uninstall option for ABBYY FineReader, then select Uninstall/Change. Windows (other versions): Click or Start, and select Control Panel > Add/Remove Programs or Uninstall a program. Select ABBYY FineReader, click Change/Remove, then follow the on-screen instructions to remove the software. Double-click the file you downloaded in step 2. 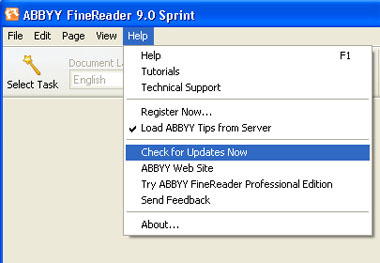 Follow the on-screen instructions to install the ABBYY FineReader update. Open a Microsoft Office 2013 application and check if the problem is resolved. If the problem is gone, you're done. If you still have a problem, please contact Epson Support. Published: Aug 13, 2013 Was this helpful​? Thank you for the feedback!